At the heart of Karen’s story is a real drive to connect, move people through song and open up people’s hearts holding an awareness of other perspectives that make up our way of understanding reality - to make our time here on earth meaningful and beautiful. Her belief is that everyone has a story worth telling that gives context to the whole story of humanity, that the natural world is precious and we need stewards to honour it. That this story is worth singing about and sharing. In an age of selfies, click-bait, brevity and time-poorness with constant “connectedness in the digital world”, our minds are fed on a fast-food diet of ‘content’ that has little nourishment. Karen’s trusted brand built up over four decades of touching people’s hearts is the antithesis of this. 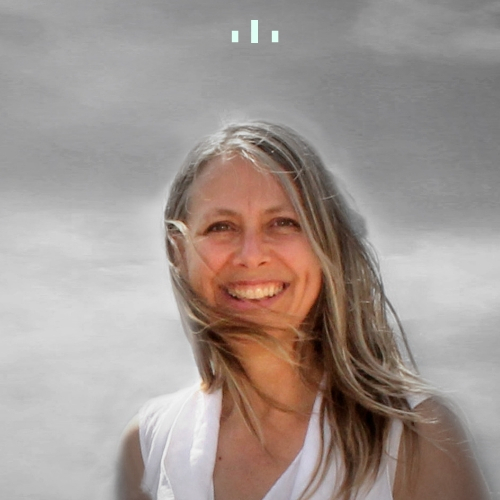 Through quality connection, Karen lays bare the truth and richness of the stories in people’s hearts, the means for people to truly connect with the natural world, opening windows to worlds that touch and enlighten souls. Being with Karen enables us to take some time out to see ourselves, to reconnect and nourish our true essence. To perceive, to open a window. To feel something. Time spent with Karen is an enriching experience that has many ongoing ripple effects. Come join the circle for the Australian tour of her new album and celebrate this artist’s new work Solid Ground and celebrate the gift of Min Mia’s sacred indigenous songs - a gift to all Australian women. “I would like to congratulate you on your new CD Solid Ground. I ordered my copy a few weeks ago and it arrived just in time for our Australia Day celebrations, which I found most appropriate. We used it as the soundtrack for our day, which consisted of a family and friends BBQ. I first listened to it in my car and immediately felt a connection to it. The words are deeply meaningful and I feel your connection to Mother Earth which also makes me feel a connection too. I already love nature as I do a lot of bushwalking and hiking for fitness reasons but your CD has bought it to another level. I can’t decide which song is my favourite as I hear something else in each song every time I listen to it which is everyday as it stays in my car but 'The Birds' and the title track are pretty special.